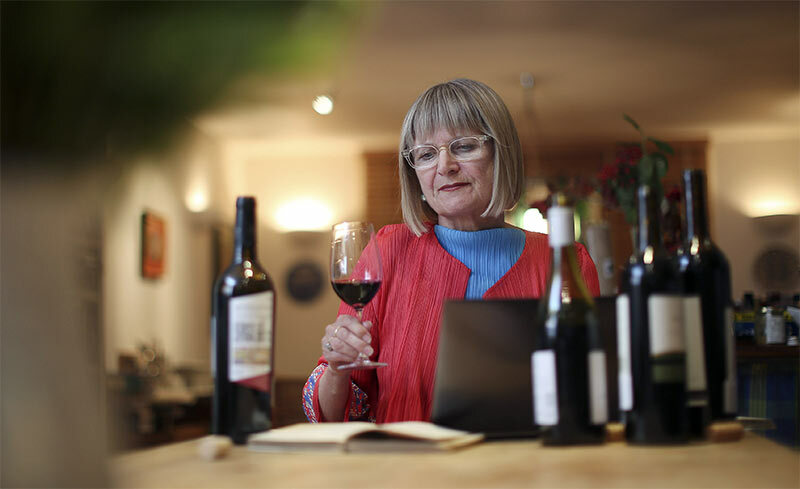 I’m often surprised to find North Americans outside of wine circles who haven’t heard of Jancis Robinson as in the UK & Europe (yes, we unfortunately must refer to them as such now) she’s an authoritative voice in both wine writing as well as authoring the most well-regarded wine reference books in existence. Of course I do get the feeling this is changing as many in the US are realizing that there’s a great deal more to wine than bombastic, over-the-top bottles. From time to time I’ve contributed some guest posts to her website, writing about my three vinous passions of: Spain, Southern France, and Croatia. How these contributions started was with a report on the 2014 Priorat harvest. Not really knowing the best way to query about any interest, I sent her an email directly. I was quite shocked when she wrote back promptly saying to send it over. When you work as a journalist, and an independent one at that, you spend most of your time sending pitches which seems to immediately descend in to a deep dark hole somewhere. My shock at Jancis’s responsiveness piqued my curiosity as to how she manages to do that given that she’s insanely busy. I’ve nowhere the resume or experience she has and I’m often drowning in the comparatively piddling amount of emails and work that I have so I really wanted to know how she does it, especially when you take in to account that wine is something very easy to lose many, many hours in while enjoying it. I was finally able to sit down with her for breakfast and chat just before the International Cool Climate Wine Symposium in Brighton started. Me: So, how on earth do you manage to respond so efficiently to what must be an endless pile of emails? JR: Well, I get an email in and I respond. For some reason, they don’t all come in chronological order so sometimes I miss them but when I know the answer right away, I respond immediately. Ones that require more thought like tastings or visits, I flag and put aside to think about although sometimes I need a nudge. JR: A couple, I’ve written about 20! Me: Sorry, a “couple” is “American” for 20. JR: Well, I do work quite hard. I put in a 2-3 hours in the morning on the website. Then, there’s the weekly Financial Times article but for the first time in about eight years I don’t actually have a book deadline looming over me and I can’t tell you how wonderful it is. I wake up in the middle of the night and can actually get back to sleep sometimes. Me: You don’t have some hidden assistant that handles things? Most of us are convinced there are actually three of you. JR: No, just one of me. I’m my own travel agent and handle everything myself. Me: Do you find that social media is a distraction? JR: I don’t maintain Facebook, everything from Twitter goes on to Facebook. I have to keep reminding myself to look at Twitter, but I do enjoy it. Overall it’s not too time consuming. The emails are what really take up the most time. Me: Wine is something that you can inherently lose many, many hours in whether just drinking it or researching it. How do you deal with that? JR: Well, the thing that would take hours and hours would be if I were to read every single wine article and book. I’m sort of too busy transmitting to receive as much as I probably should. Me: And when it comes to drinking wine? JR: I do that, I definitely do that. I always say that tasting is what I do during the day and drinking is what I do during the evening and they’re very separate things from one another. Me: From my own experience, I often end up with piles of great wines after writing up tasting notes. I don’t want to throw them away, but you can’t possibly drink all of them. What do you do about this as I’m sure you must have a constant stream of bottles? JR: Well, it’s not a problem that the average man on the street is going to sympathize with. But it’s a problem and I hate waste. I’m from the north of England where we’re very frugal. Unfortunately, the two of my children who are girls only like white wine and the boy is a restaurateur so he’s not much help. Nick plays Bridge each week so a bit goes there. I’d give more to our gardener but he only drinks French wine [ed. only the gardener to a Master of Wine could be so bold] so that’s a bit limited. You end up throwing away quite a lot sadly. Me: So then, your big secret to date has been to accomplish as much as you have is…? JR: Working hard. Yes, boring, I know. I’m always the first one up from the table and back to work. But now that the children are grown Nick and I have been able to travel more which is allowing us to experience more after all these years of very intense work. Me: That’s something else, people will say, “I sent an email to Jancis but it much be 4AM where she is in Asia and yet she answered right away!” Do you ever sleep? JR: I do, I do but it’s all just time management. We had to break as Jancis went to give her opening speech for the symposium but it was great to sit down with her as despite all the titles and accolades she’s earned over the years, she’s incredibly approachable as shown by her taking the time to sit down with someone who just a bit under two years ago she knew as little more than an occasional commentor on her discussion boards. I thank Jancis for the time that morning and look forward to meeting again someday in the future. Jancis rocks! She is by far the best of the MWs and has done more valuable service to the trade than anyone else in the past twenty years. I’m happy you got the chance to meet her.